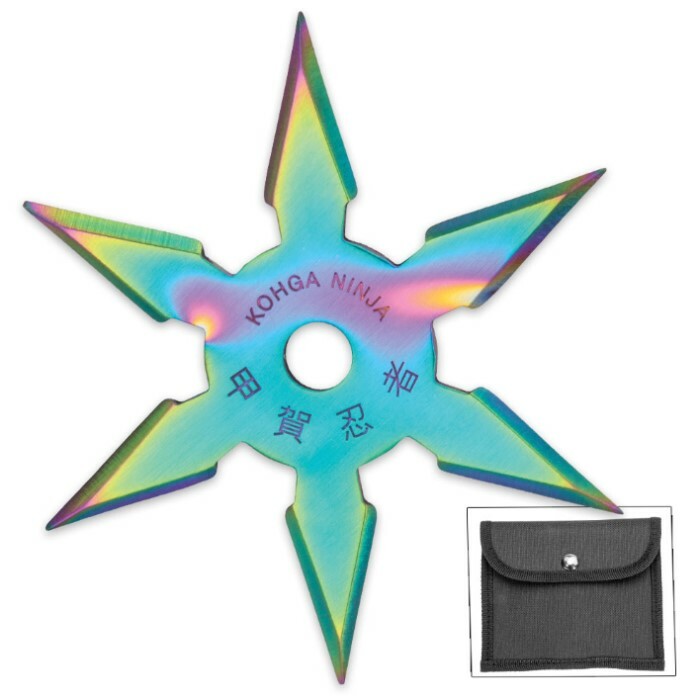 On Target Titanium Six-Point Ninja Throwing Star | BUDK.com - Knives & Swords At The Lowest Prices! Our new On Target Titanium Six-Point Ninja Throwing Star is both eye-catching and formidably sharp. It will easily penetrate your target and stay put. The six-pointed throwing star is made of solid stainless steel with a striking titanium rainbow finish. 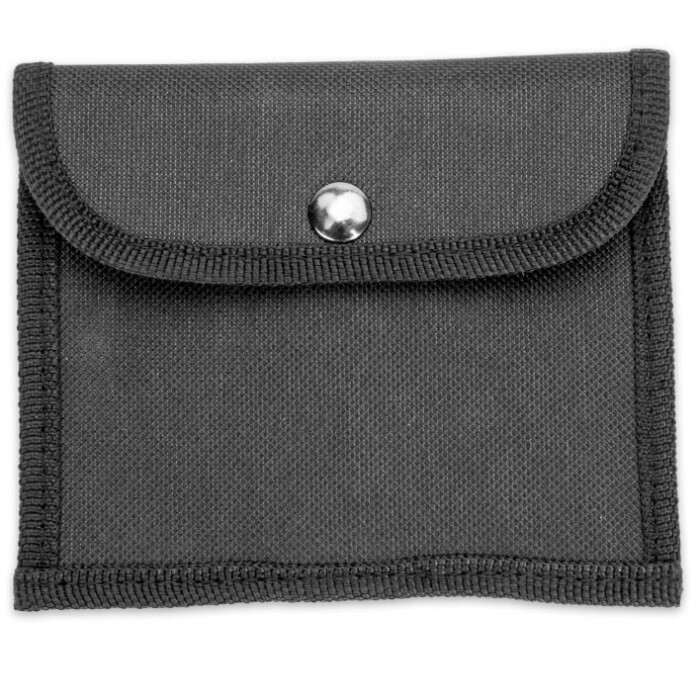 It comes housed in a sturdy nylon pouch with a belt loop. 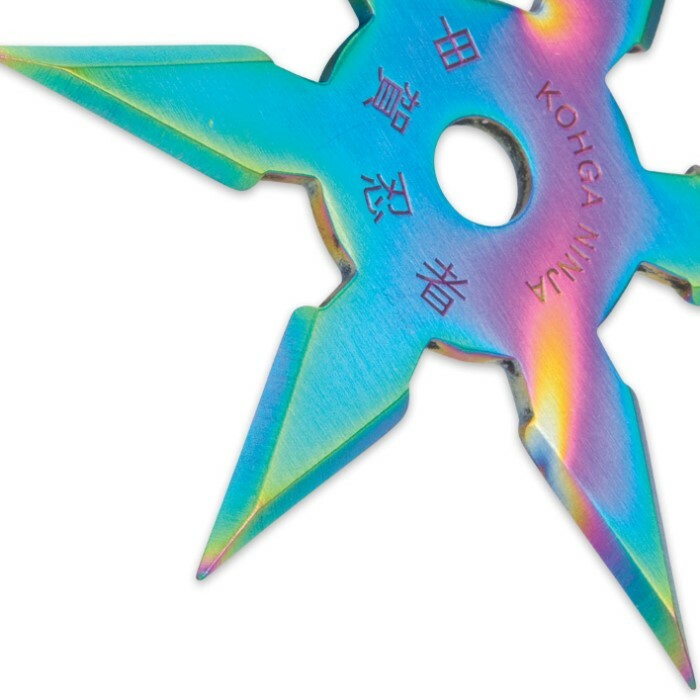 This is the perfect throwing star to hone your Ninja throwing skills.